Take your celebration on the road by renting a party bus. KidsParties.Party features luxury transportation vehicles that can accommodate large groups. We’ve also featured services that provide entertainment for kids, such as video game trailers, travelling spas and mobile gyms. 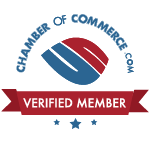 Find a transportation company that serves your area in California. Scroll below to see the top destinations for a mobile party. 1. Mini-Vacation: Where are the places everyone goes in your city or town? If you are lucky enough to live by a beach or lake, load up the bus and take a trip to the water. If you live near a city or a bustling downtown, research any cool venues or happenings in the area and plan your visit. 2. Lights, Camera, Action: Your child will feel like a celebrity when you arrive at the movie theater in a glamorous vehicle. Buy tickets ahead of time to the latest movie you’ve been dying to see and enjoy a Hollywood-ready experience. Just be sure to bring your own red carpet. 3. “Fast” Food: Going to the local pizza place or the drive-thru isn’t exciting, but rolling up to one in a luxury party bus sure is! Place your order and enjoy eating while you ride. 4. Girls' or Guys' Night Out: Perfect for tweens and teens, renting a party bus is a way for your older child to enjoy a night out while being supervised and transported safely. The chaperoned driver can take your crew anywhere they want to go, such as the local salon, a favorite restaurant or even a sporting event. 5. 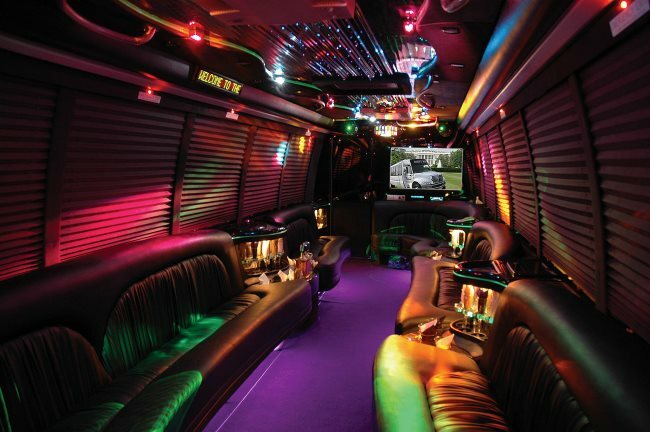 Create your Own Venue: Instead of a destination, why not make the party bus the main event? Many vehicles offer entertainment centers, such as karaoke machines, TV screens, auxiliary cords, video game consoles and DVD players. With tons of space to move around, you’ve effectively created your own private traveling venue. You’re set on one of these ideas for your child’s next birthday – now all you need is to find the perfect luxury transportation service. Browse KidsParties.Party to find one that serves your area of California. Want to make this birthday even better? You can use our free, interactive software to create customized birthday invitations. Your child will love choosing from our unique templates, or helping you create your own with our blank template. We also have hundreds of birthday wishes for you to add in a customized card. You can pick your favorite from our categories, too, like daughter or son messages. Your child will love reading a personalized birthday card instead of a generic store bought one. Do you have a kid-friendly business? We can get you listed on KidsParties.Party today! Join now by filling out this form.